The University of North Carolina-Charlotte engineering graduates Justin Sonnett and Chris Matthews have produced SAROS, a high-efficiency desalinator. In many areas of the world where water resources are scarce, desalination of seawater can be a life-saving solution. Currently available technologies require big investments, consume much energy, and harm environments with byproducts. However, there are promising new technologies like SAROS, a small-scale desalination system that harnesses wave power. “Water, water, everywhere, nor any drop to drink.” Said Samuel Taylor Coleridge in his poem “The Rime of the Ancient Mariner.” While water covers nearly three-quarters (71%) of the Earth’s surface, only a tiny fraction is drinkable. With virtually unlimited volumes of seawater, desalination is a solution to supply fresh water to the 783 million people around the world without access to clean water. However, large industrial desalination plants are often expensive to set up and require huge amounts of fossil fuels for power. These plants also emit salt-rich brine back into seawater which threatens marine ecosystems. After their senior project in 2013, Chris Matthews and Justin Sonnett, two mechanical engineering graduates from the University of North Carolina-Charlotte (UNCC), presented their invention, the Swell Actuated Reverse Osmosis System (SAROS), as a prototype and launched a startup, EcoH2O Innovations LLC. via an Indiegogo campaign. In June 2015, EcoH2O Innovations also presented the project to the Hello Tomorrow Conference in Paris. SAROS is a wave-powered floating machine that converts seawater into drinking water through reverse osmosis. Like the movement of the mast of a ship magnifying the pitching of the hull, SAROS harnesses this pendulum movement to generate and use energy. Ideally, the desalination system would be made up of a network of small units (buoys) connected to shore tanks and thereby produce clean water. 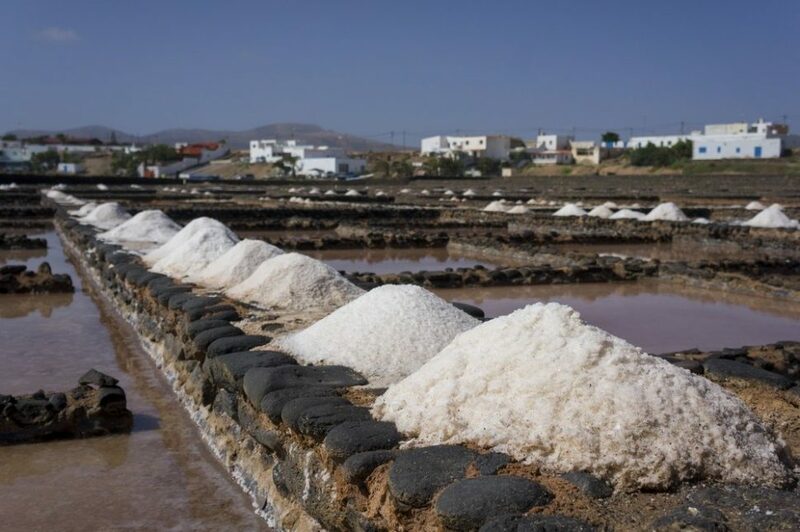 SAROS removes salt from water rather than freshwater from seawater, thus displacing smaller water volumes than most desalination systems as salt represents only a small percentage of what makes saltwater briny. By eliminating the need to burn fossil fuels to produce energy, SAROS requires half the cost of conventional desalination technologies. SAROS can also filter plastic from seawater. SAROSv2, a new buoy prototype, can produce up to 3,500 gallons of potable water per day. This new innovation could democratize desalination access for coastal communities, and reduce the environmental impact of producing drinkable water. For their work, Sonnett and Matthews have received many awards including the 2014 Thomas Edison Award. They recently opened a second SAROS branch in Willmington, NC to aid in continuing research and development.